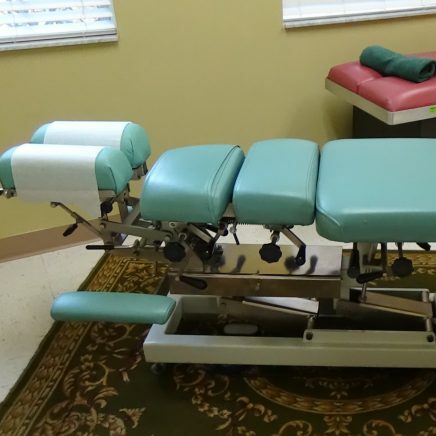 In the course of treatment a variety of physical therapeutic modalities are paired with your spinal manipulation. Find out more about each individual modality below. 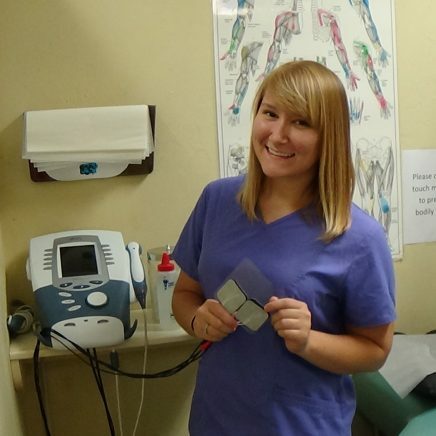 Dr. Hoehn utilizes many different types of muscle stimulation, which is therapeutic treatment to aid in the relief of pain and the promotion of soft tissue healing. It works by sending tiny amounts of electrical impulses into the tissues where the injury has occurred. Where these waves intersect below the surface of the skin, a low-frequency stimulation is created that prompts the body to secrete endorphins and other natural pain killers to help relieve pain. This therapy is most often used for pain relief and to aid in reducing the swelling of soft tissues. Ligament sprains, muscles strains, and spasms often respond to this treatment, helping reduce atrophy from decreased use and increase blood circulation. A way of inducing passive motion into the spine for the purpose of stretching spinal joints and increasing mobility. During the treatment the patient lies face up on a bench table which has roller-type cams beneath its surface. These rollers slowly travel the length of the spine, stretching spinal joints and relieving the pressure placed on the discs. Most patients find this form of treatment to be relaxing and very helpful. 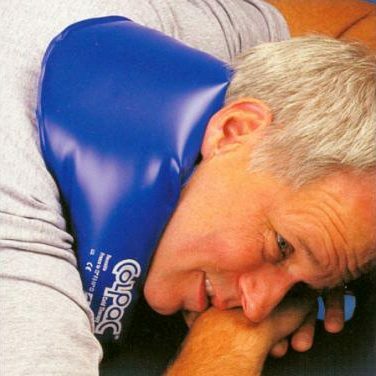 The gentle rolling action is restful, exercising the spine without effort. Since discs have poor blood supply, they get nutrients from the circulation of fluids surrounding spinal joints. Fixations prevent this natural circulation and can cause disc thinning and degeneration. Intersegmental traction helps increase and restore necessary elasticity and motion to the spine. 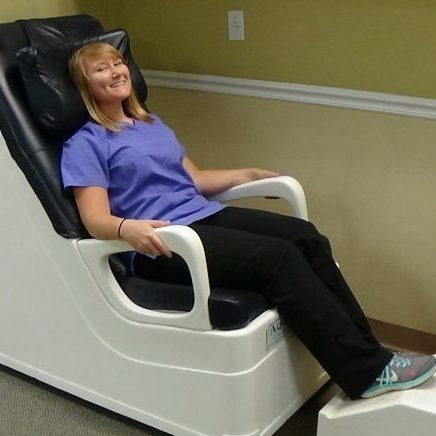 The Aqua Massage Chair utilizes water to provide therapeutic massage. It is used to increase circulation, promote relaxation and stress relief and relieve pain. Nonsurgical spinal decompression is a type of motorized traction that may help relieve back pain. 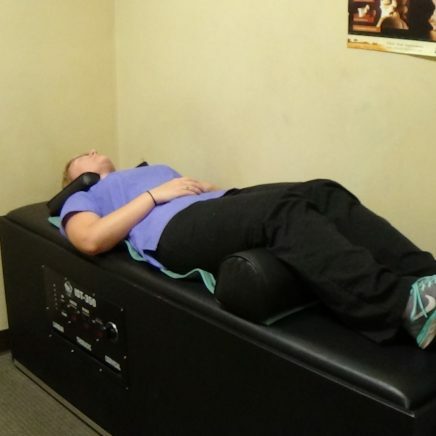 Spinal decompression works by gently stretching the spine, which changes the force and position of the spine. This will take pressure off the spinal discs, which are gel-like cushions between the bones in your spine. Proponents of this treatment say that over time, negative pressure from this therapy may cause bulging or herniated discs to retract. That can take pressure off the nerves and other structures in your spine. This in turn, helps promote movement of water, oxygen, and nutrient-rich fluids into the discs so they can heal. Heating pads are used to help raise the temperature of soft tissues directly below the surface of the skin. Heat applied to the surface of the skin enlarges blood vessels below the surface, relaxes tissues, and can temporarily relieve painful symptoms. Increasing circulation and relaxing muscles is helpful before or after chiropractic chiropractic adjustments, exercises, and other treatments. Heat is usually recommended for the relaxation of tissues in spasm and temporary relief of symptoms associated with chronic pain and muscle tightness. 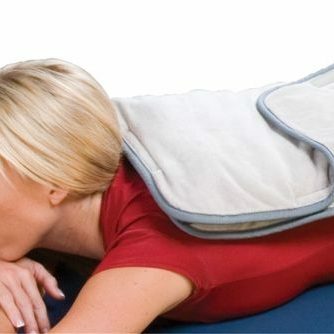 Using heat to calm tissues suffering from long term spasm or irritation is an easy way to increase flexibility, range of motion, and promote increased circulation to speed the healing process. Cryotherapy is a term that describes the application of ice, cold towels, ice massage, or compress to reduce the temperature of tissues directly on or below the surface of the skin. Surface cooling constricts blood vessels, numbs painful areas, and helps relax muscle spasms. Cold temperatures reduce nerve transmission of painful symptoms and provide temporary relief. Ice is most often used to manage acute injuries or recent eruptions of chronic conditions. Cooling affected tissues is effective in reducing and preventing post-traumatic swelling. Local cooling should be applied several times a day during the initial stages of an injury. Cryotherapy is inexpensive, readily available, and an easy way to reduce local swelling of inflamed tissues. Therapeutic ultrasound is a form of health therapy which uses high or low frequency sound waves to penetrate deep into the targeted tissues and muscles which causes a warming and relaxing effect. When applied to soft tissues and joints, the sound waves are a form of micro-massage that help reduce swelling, increase blood flow, and decrease pain, stiffness, and spasms. 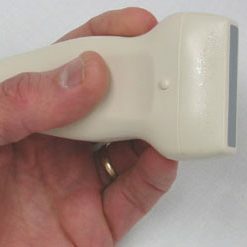 The heat from the ultrasound loosens muscle or ligamentous tissue to increase joint range of motion and has the effect of breaking up spastic tissues, adhesions, trigger points or scar tissue.